Last year, a few ardent devotees came together and decided to make a start. The game found support at once, and when, at the General Meeting of the Gymkhana Club a request was made for a Tournament Cup to be played under certain conditions, a uniform consent was accorded. 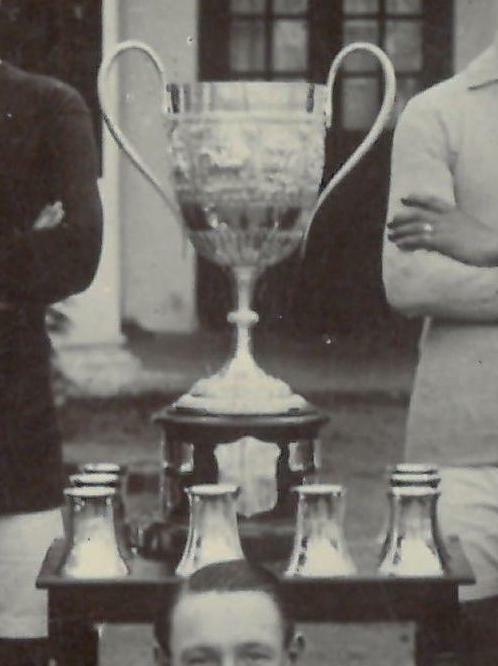 Lord Willingdon, Governor of Madras, was an important supporter of the football cup and attended all the finals between 1919 and 1924 so was presumably present when the team above won in 1920. 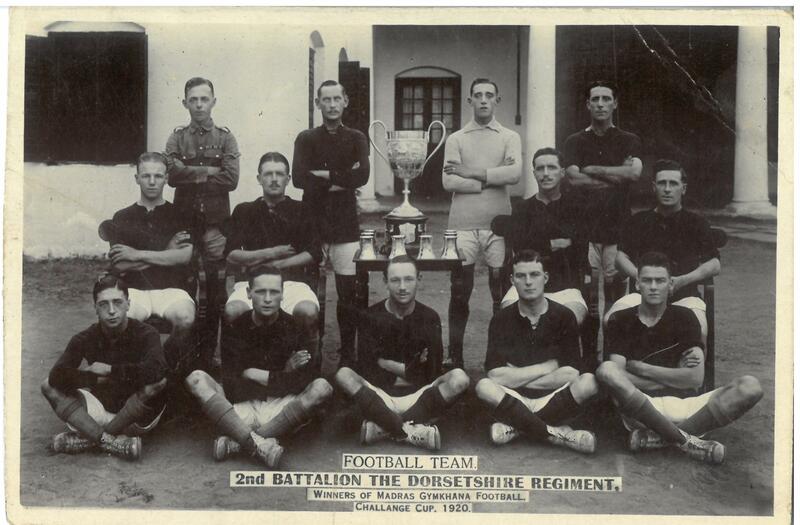 The cup was won exclusively by military teams until 1933 when the first civilian team won, The Pachaiyappa High School. 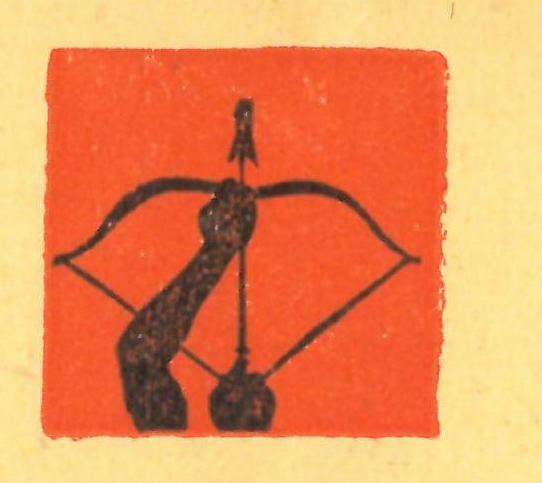 This entry was posted in British Army, India, Inter-War, postcard on April 30, 2017 by hatchfive. 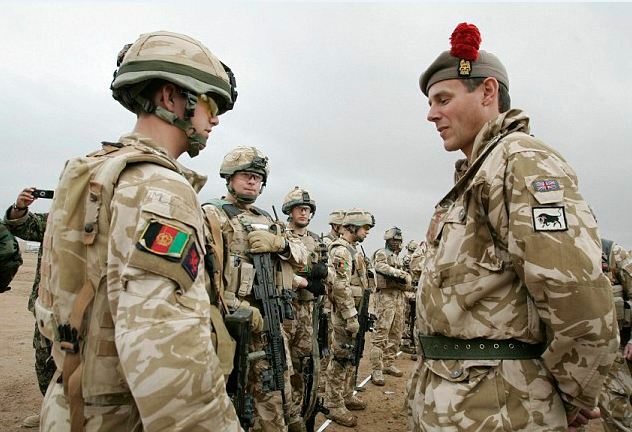 The British Army’s campaigns in Iraq and Afghanistan took place in arid desert conditions for much of the time. Despite this, temperatures were not universally high and at night the ambient heat could plummet rapidly. 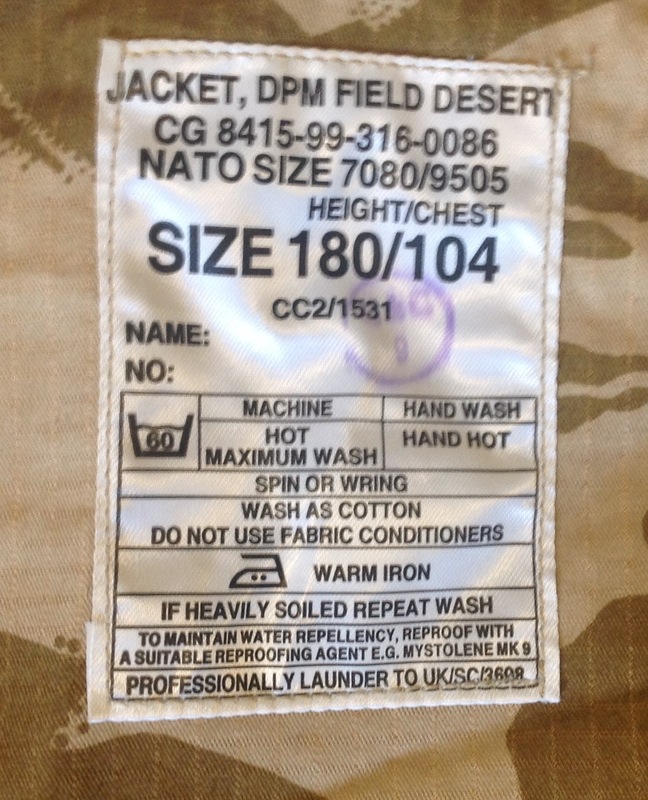 Therefore, in addition to desert DPM shirts, the army issued a heavier field jacket in the desert camouflage: The design of this jacket is clearly a copy of the equivalent CS95 design in temperate DPM. 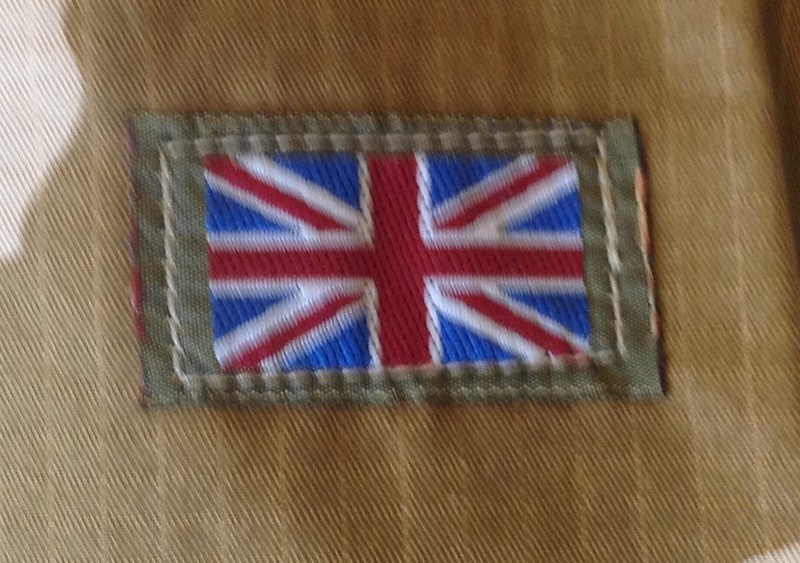 It has two angled breast pockets secured with the distinctive looped tape buttons: And a further two patch pockets on the skirt: It fastens up the front with a zip that is covered by a Velcro fly: A single front mounted tab is provided for rank insignia: A small Union flag is sewn onto the sleeve: As with all modern combat clothing a label is sewn in giving sizing and care instructions: These uniforms were ubiquitous in the early days of the campaign in Afghanistan and here Brigadier James Cowan, commander of the task force in Helmand, can be seen wearing one in 2010: It must be said that the fabric used in this jacket is not particularly thick, but the CS95 uniform and by extension this desert pattern uses a layering principle. 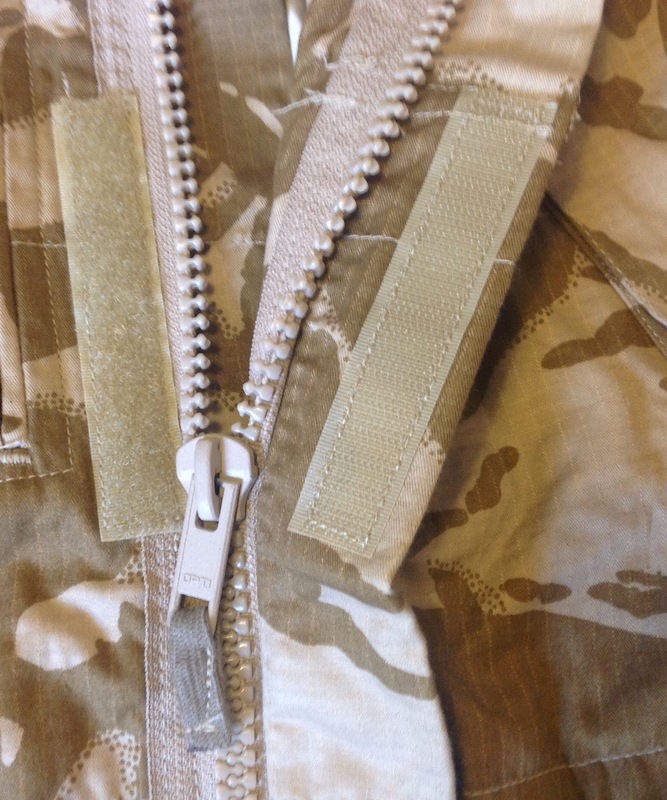 Beneath the field jacket would be a shirt and t-shirt layer, the air trapped between each layer then being effective at keeping the wearer warm. 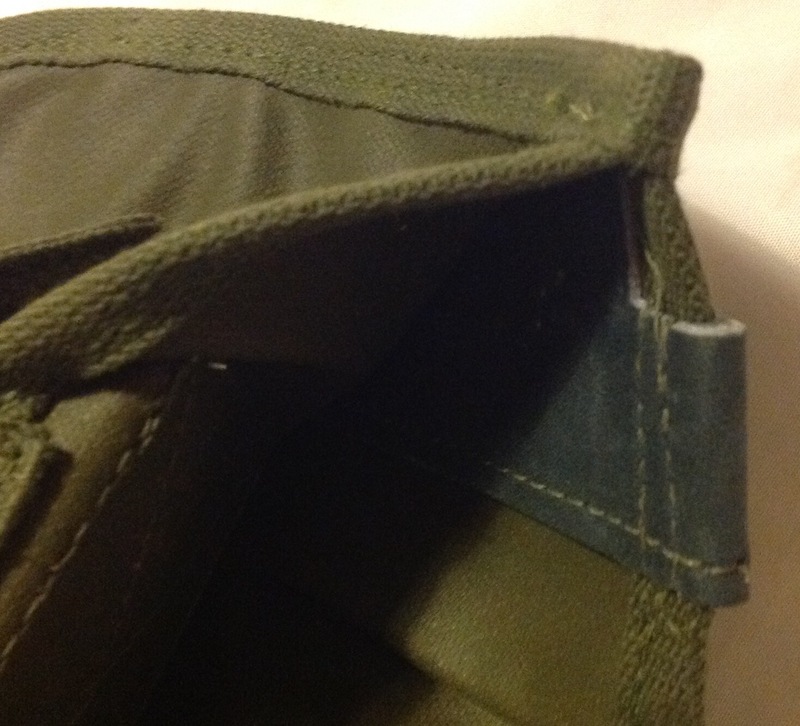 Worst combats ever were those on issue when I was in NI in 1991 – single lines of stitching, so the seams would fall apart when you knelt down, and pockets would drop off. 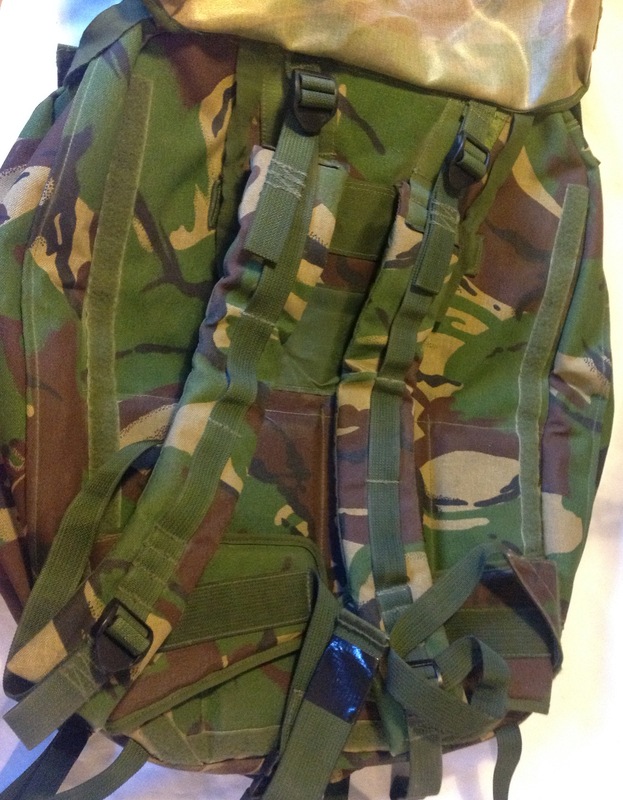 Superseded by the interim 94 pattern stuff (similar cut to the Cbt 95 smock – but made of fabric that held more water) : school report would say “an improvement, but could still do better”). 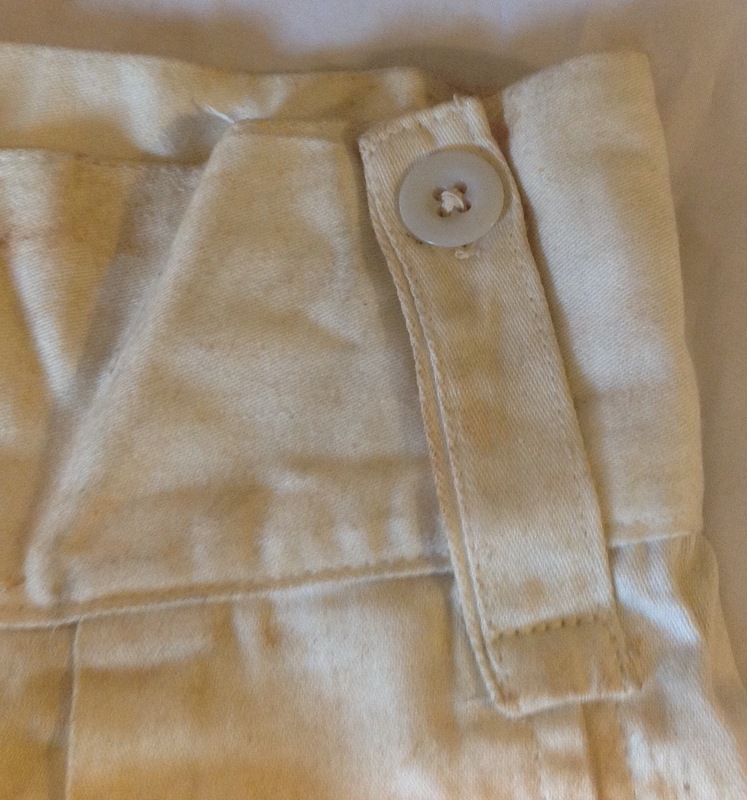 At last line infantry had as standard issue a buttonless zip-front smock with decent sized pockets, and sturdy construction (the things that made para smocks attractive): zip front and generous sizing means you can stuff ammo or whatever inside the thing for ready access in a hurry. 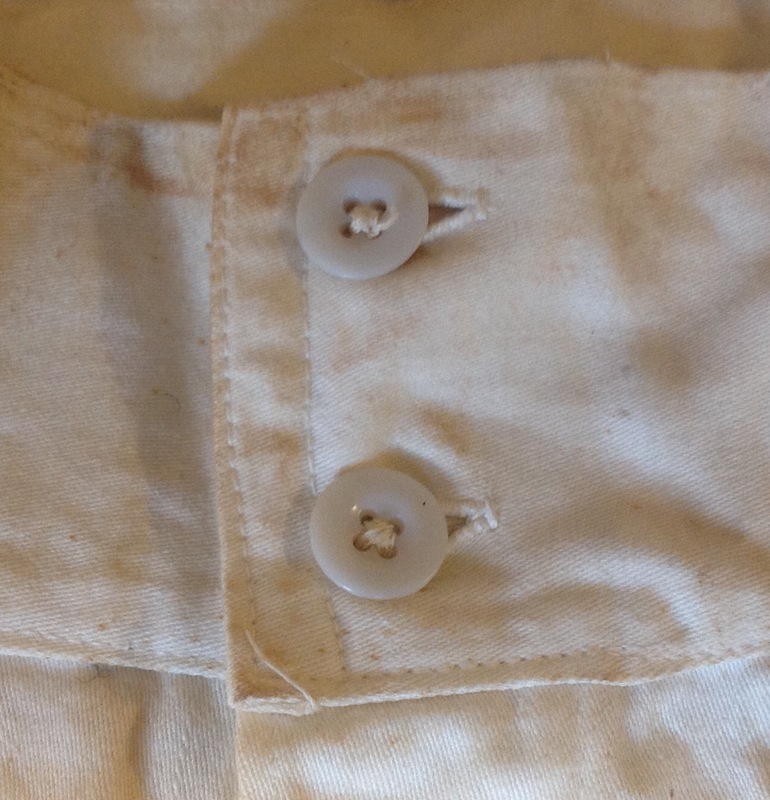 Windproof smock – all the advantages of the 94 smock, and is bloody excellent in dry cold. Not so clever in wet, muddy conditions. 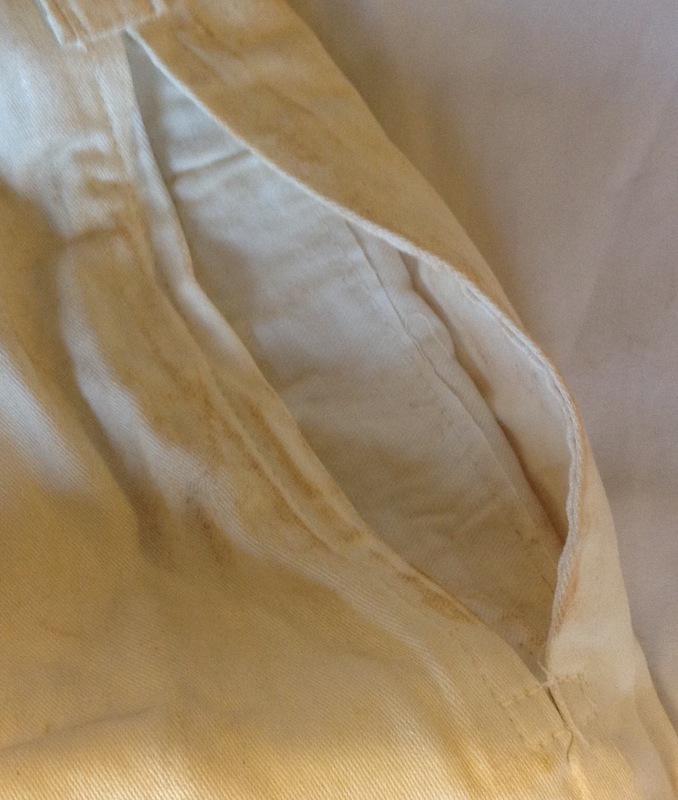 The fabric’s just too thin, and the ingrained dirt that goes with infantry trench-living will abrade it like feck, so it disintegrates, suddenly (a characteristic of all 100% cotton clobber). The hood’s a pain in the arse, even in Noggieland, where (for all the usual good tactical reasons) it was seldom used, except in the most severe cold (like -40). 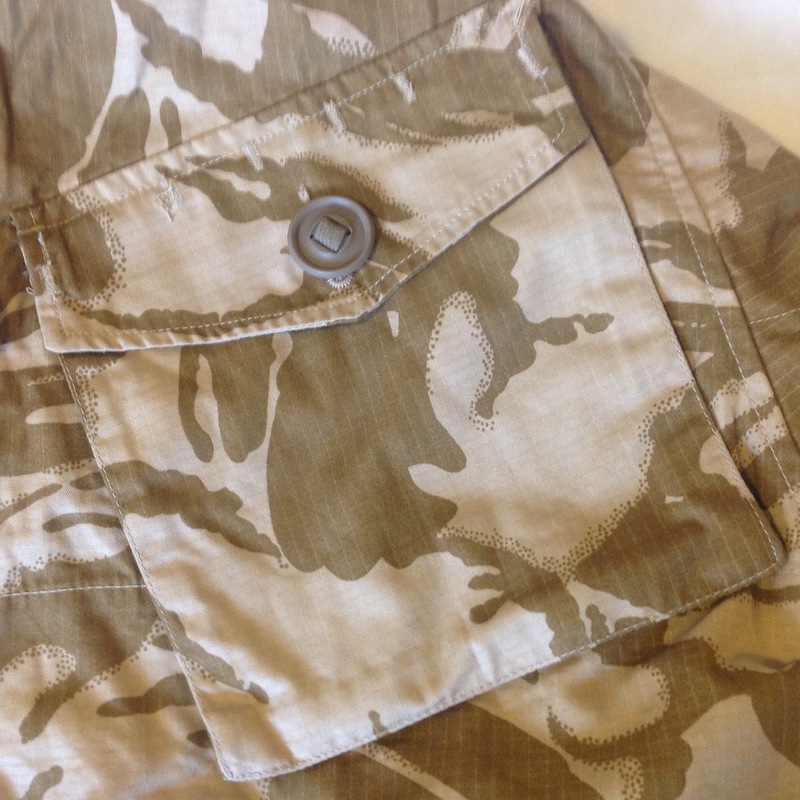 Field jacket has to be tops – all of the advantages of the better kit listed above, and designed to minimise the drawbacks of all of the others (like, it’s cotton, so it will wear out . . . but would you prefer something that lasted longer but melts into your flesh when flash-heated by an explosion?) 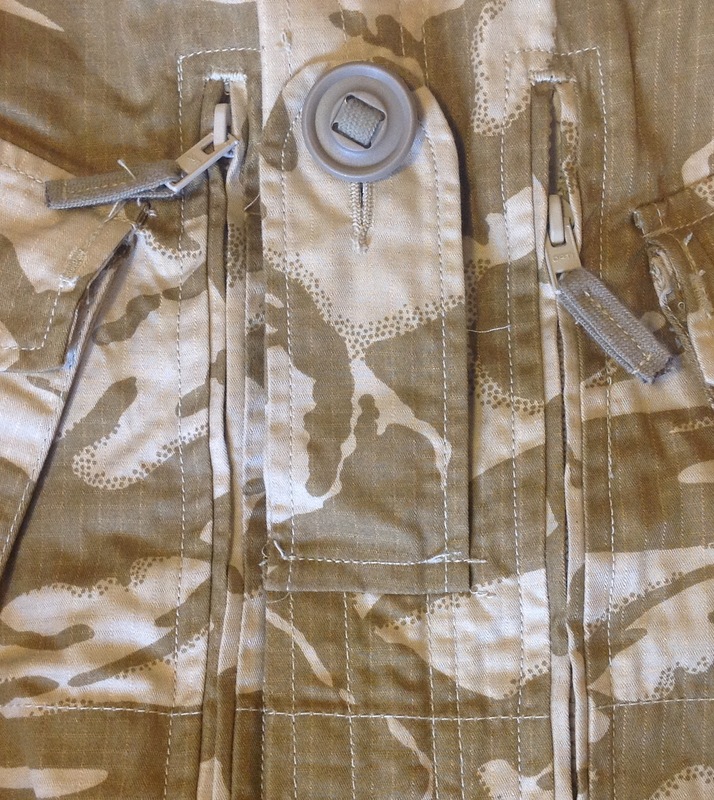 – plus all the clever touches like ripstop fabric and things to tie your compass to. This entry was posted in British Army, Uniform, War on Terror on April 29, 2017 by hatchfive. 1) The Office, Warping and Weaving, Located on Crawford St.
Contracts were plentiful throughout 1940 and 1941, with the government placing many orders in excess of $50,000. However, it seems that by 1943 the web equipment contracts were slowing down. 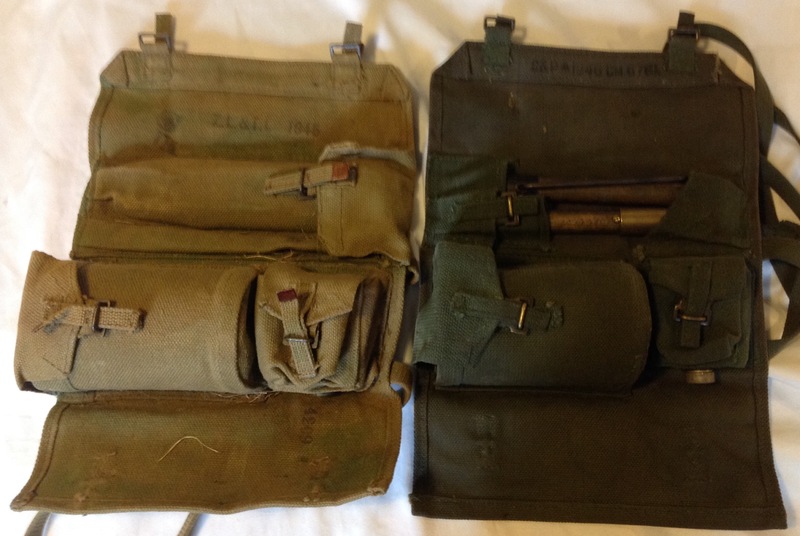 Indeed, in October of 1943 the ZL&T Newsletter states that the 50 Millionth piece of military web equipment was produced (a small pack) at plant 4. The Globe and Mail states on November 19th, 1943 that due to fulfillment of government contracts and also lack of materials, all production was suspended at one plant and greatly curtailed at the remaining 3. The article continues, stating that during October of 1943 nearly 200 people (mostly women) were laid off, and that the largest number had been laid off in the ten days before the publication of the article. At its peak the company employed nearly 2000 employees, but by November of 1943 had less than 500. After WWII that company was bought by local businessmen and produced woven fabrics as well as having a franchise to make “Tom Boy” and “American Golfer” clothing. 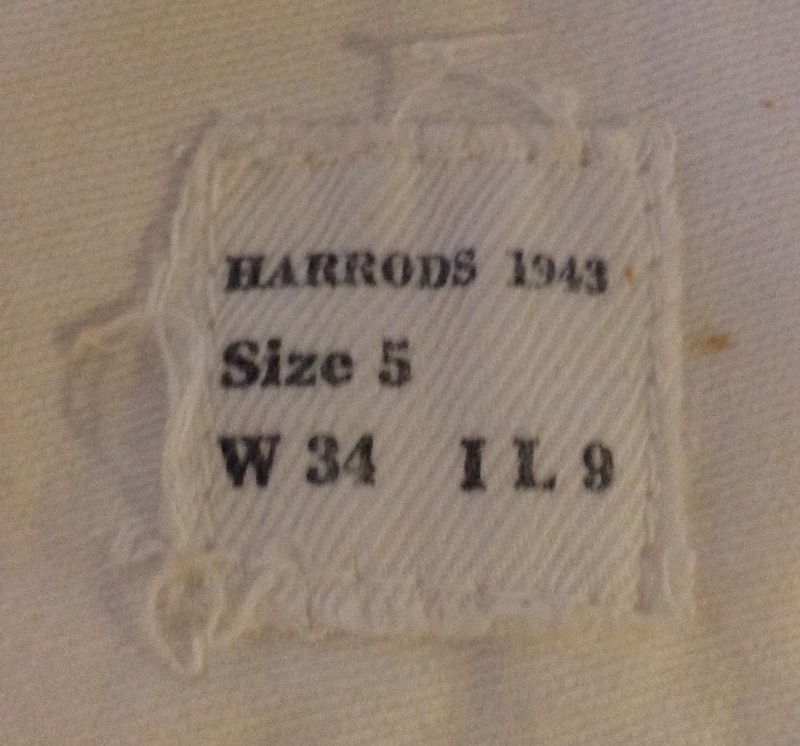 In 1957 the company became “Textile Industries”, and introduced the Wyndham fashion line. Textile Industries closed in 1980 after several layoffs. 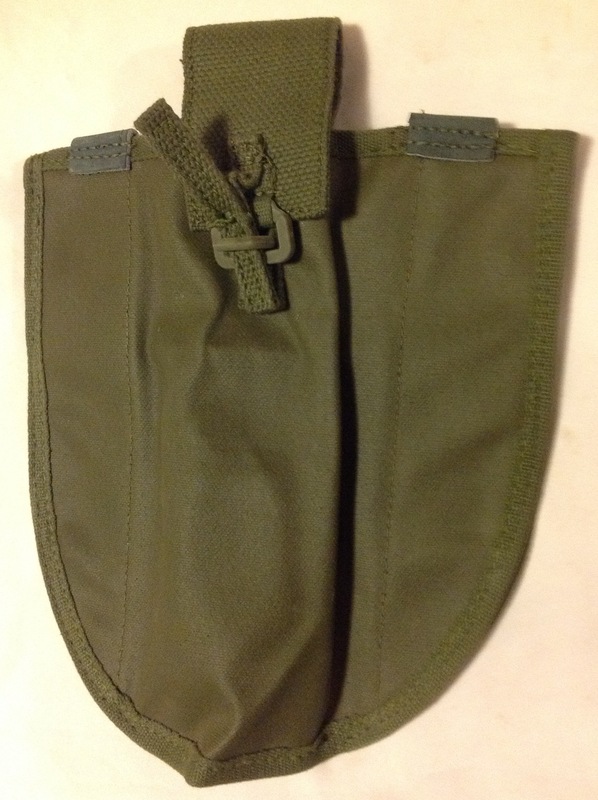 Returning to the inside of the cleaning kit wallet we can see further differences, mostly in the design of the pockets for the folding handle for the mortar brush. 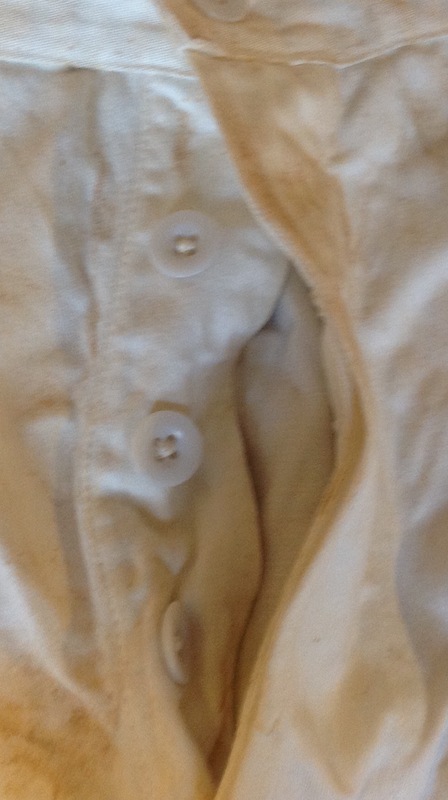 The Canadian design has a full pocket, the British design has a couple of loops at top and bottom rather than a full pocket: In service troops would have been issued either design interchangeably and probably paid it no attention whatsoever; however to the collector it is always nice to have variants and different manufacturing techniques to track down. This entry was posted in Canada, Weapons, Webbing, WW2 on April 28, 2017 by hatchfive. 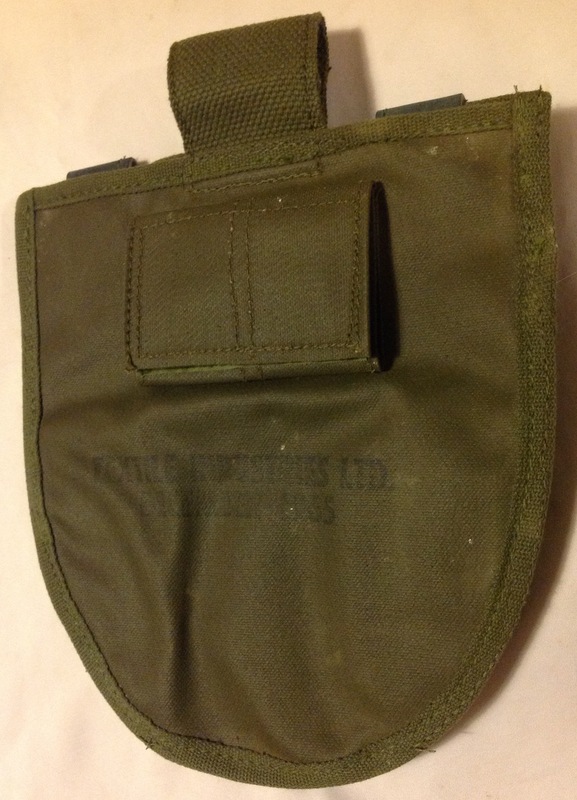 My thanks go to Michael Fletcher who helped fix me up with tonight’s object, The Other Arms Rucksack: This rucksack was designed to be issued to non-front line infantry in place of a bergan. 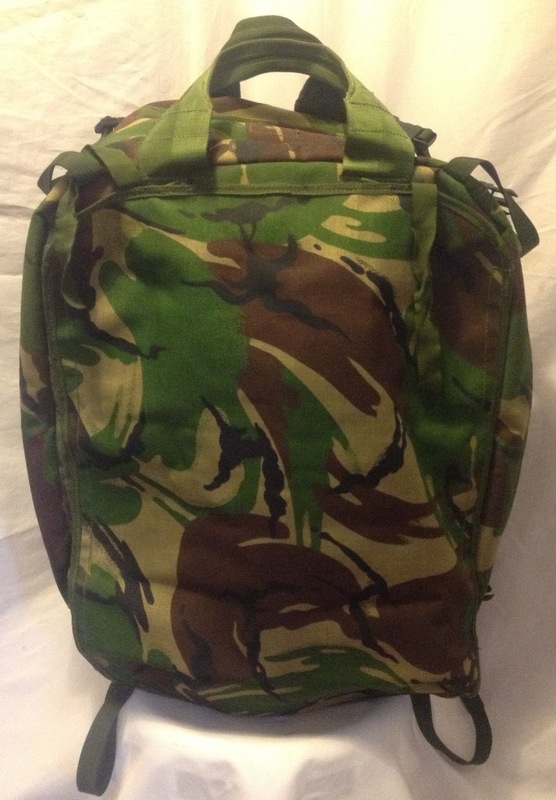 It has a large capacity, seventy litres, and can be used in a number of ways. 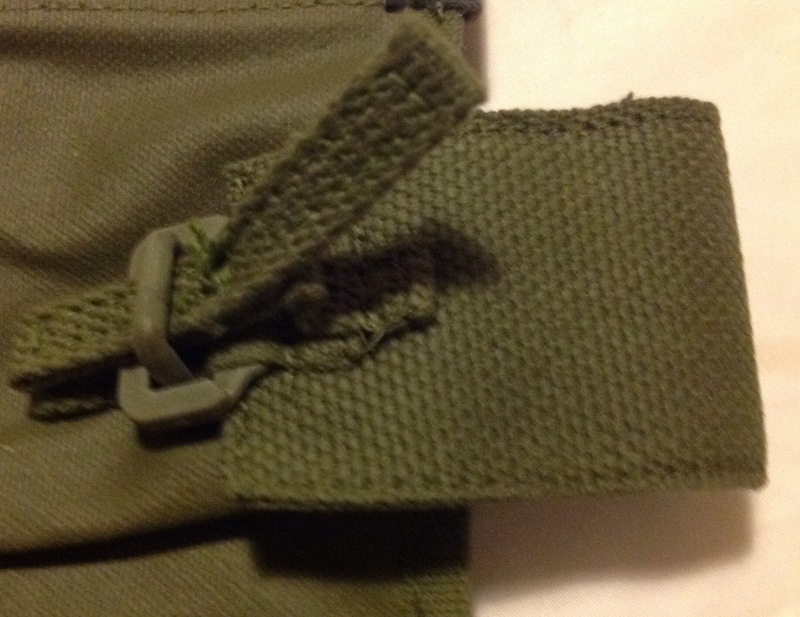 A large flap is provided over one side of the rucksack: Opening this reveals a pair of shoulder straps that allow it to be worn on the back: These allow the rucksack to either be worn in the conventional manner, or for the carry straps to be stowed away for flight on board aircraft- the straps otherwise getting in the way and catching on things. 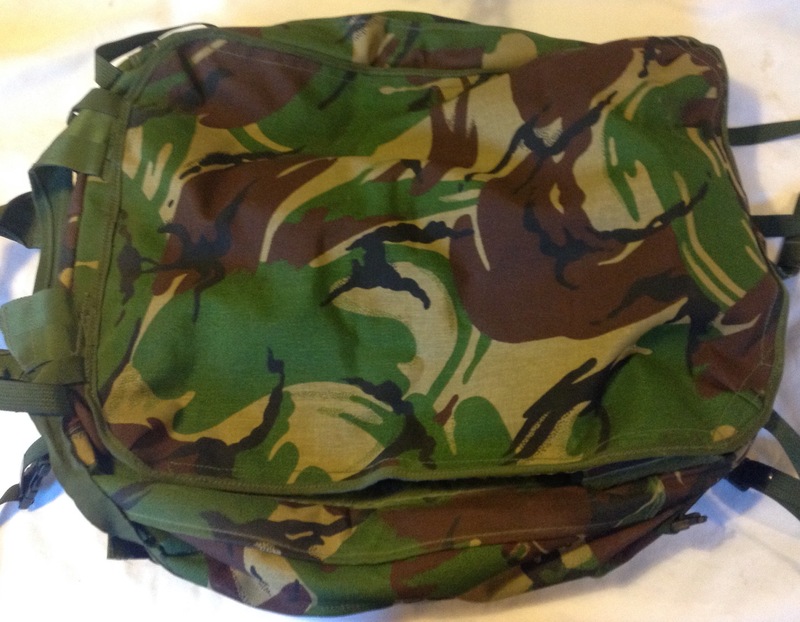 Two large carry handles are fitted at the top for when the rucksack is being carried by hand: This combination has given rise to the rucksack being nicknamed the ‘Combat Handbag’ or the ‘REMF Handbag’ or ‘Turtle Pack’ due to the way they looked like a turtle shell when worn. 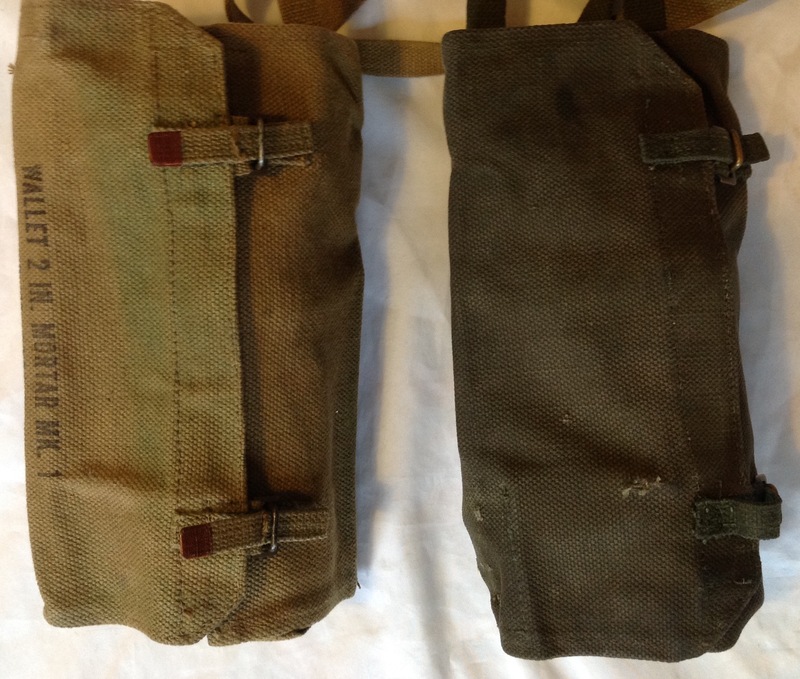 Typically, as these nicknames suggest, troops tended to try and ditch the other arms rucksack as soon as they could and replace it with a standard bergan as it was more ‘ally’ and didn’t show to all that the user was a support troop rather than an infantryman. 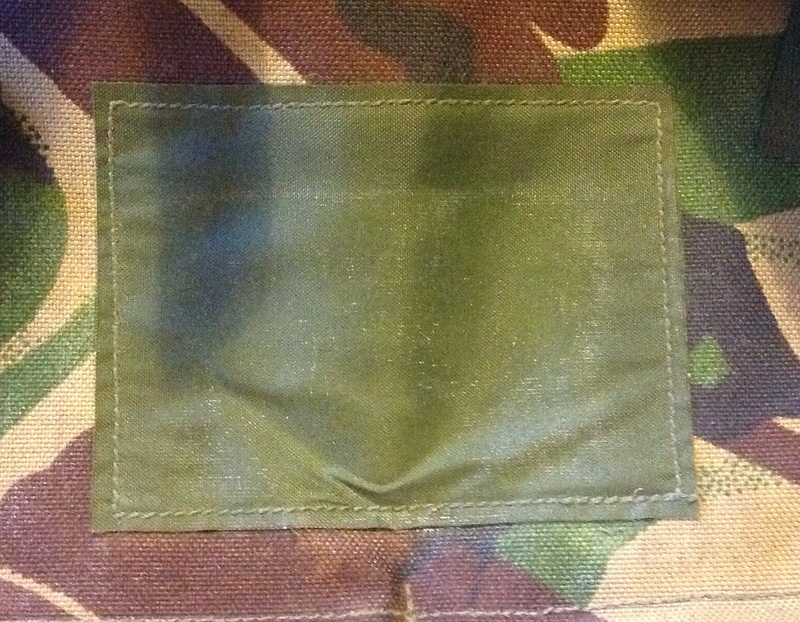 The back panel of the rucksack, in addition to the shoulder straps, has a green panel to allow the owner to write his name and number: Zips and fasteners are provided down each side allowing a pair of supplementary rucksack pouches to be attached to either side to increase the carrying capacity: The rucksack fastened up with a large zip and has a Velcro fly over it; the inside of the rucksack is pretty much open, but there is a single divider on the shoulder strap side and a button down pocket that would allow a metal bergan frame to be fitted to improve the comfort on long transits: These rucksacks have proved particularly popular amongst cadets as they are far cheaper on the surplus market than standard bergans, the design and size being ideal for short weekends away rather than a full sized bergan. 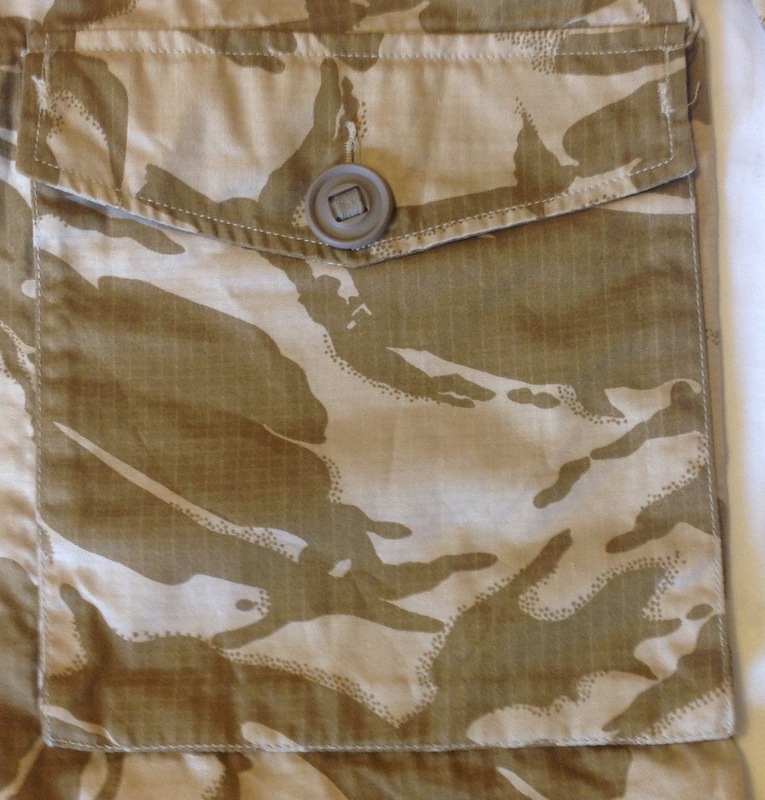 Adult users report that the pack is actually very comfortable to wear and the large capacity makes it practical, but that it is not ideal for wearing for long periods of time in the field. 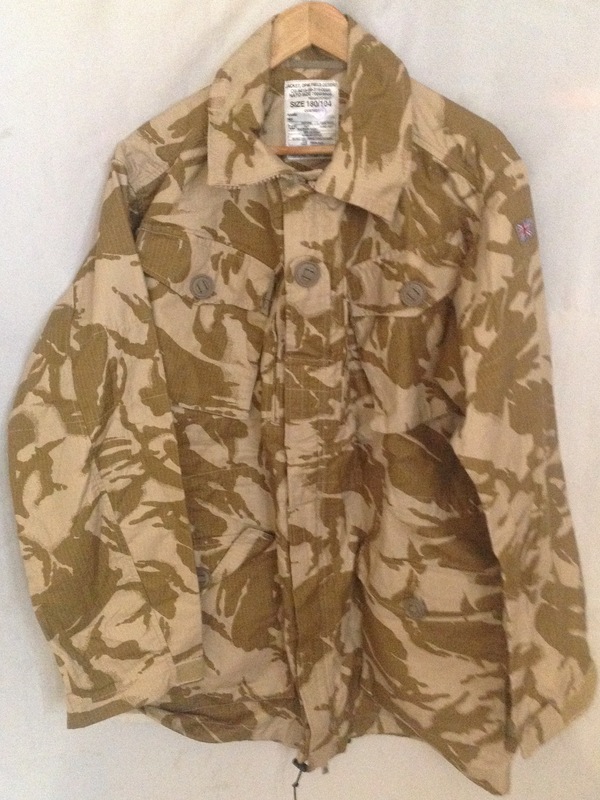 Ironically it seems to be more popular on the secondary market than it ever was with the troops who were issued it! 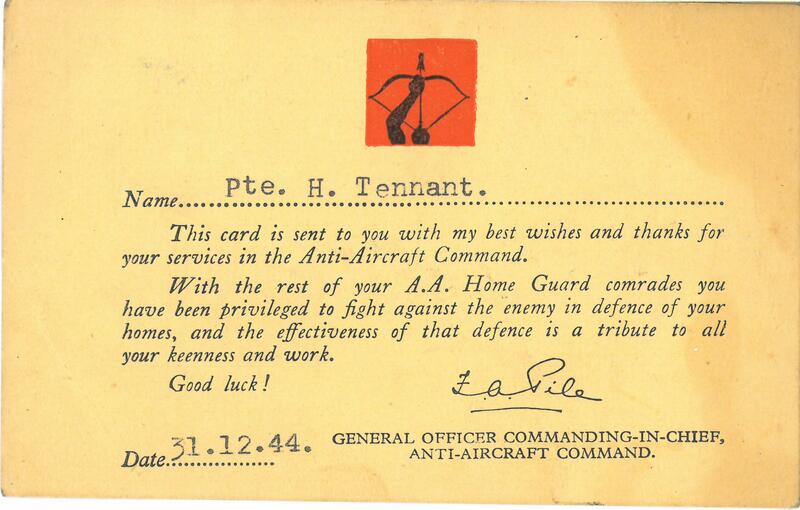 This entry was posted in British Army, Post WW2, Webbing on April 27, 2017 by hatchfive. I was working on electrical repairs in the many textile mills and engineering factories and foundries in the area when I was conscripted into the home guard. 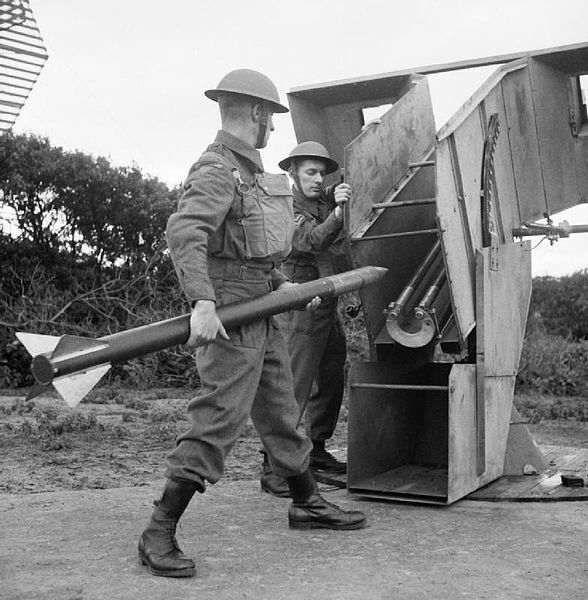 Not the usual infantry but a newly formed Anti-aircraft battery firing rockets. These were new weapons in addition to the many conventional 3.75 AA guns in the area. 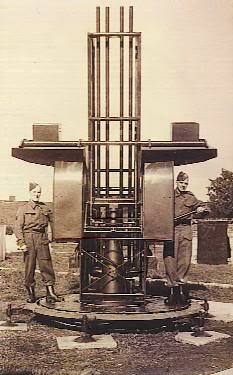 These new rocket projectors were to be manned and operated by the Home Guard. We did practice live fire once. It was a glorious ‘summer’ day in November and we were taken by train and lorry to Hornsea on the North Yorkshire coast. 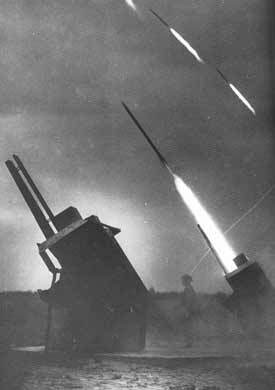 Each platoon went in turn to the projectors lined up on the cliff top and loaded live rockets (I was worried about my fingers) and fired a salvo into the sky over the sea. I was never more scared in my life. Great 30 foot long sheets of flame past our heads and a roar like an express train in a tunnel, and the flimsy metal structure of the platform of the projector shaking and resonating; and us too shocked and deaf to hear the commands to check for misfires and turn to a neutral bearing. This entry was posted in Documents, Home Guard, WW2 on April 26, 2017 by hatchfive. 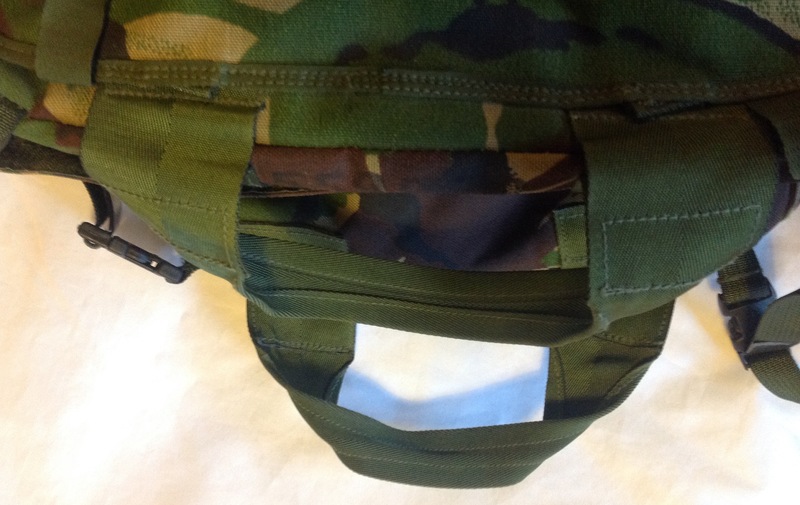 This is the same large velcroed loop that fits over the belt as other copmponents of the set: As with the canteen carrier, I am doubtful how effective this Velcro would be with a heavy component like the entrenching tool. I suspect that like other components of the set, the entrenching tool carrier would have been particularly susceptible to dropping off! 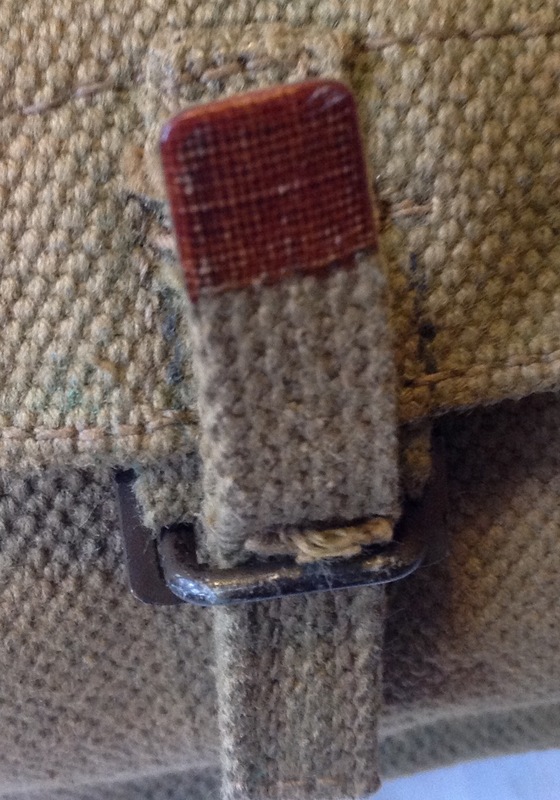 The maker’s mark is also stamped on the rear of the carrier: This example was made by Textile Industries Ltd, a company who seem to have made all the components of the set for the Canadian Army. 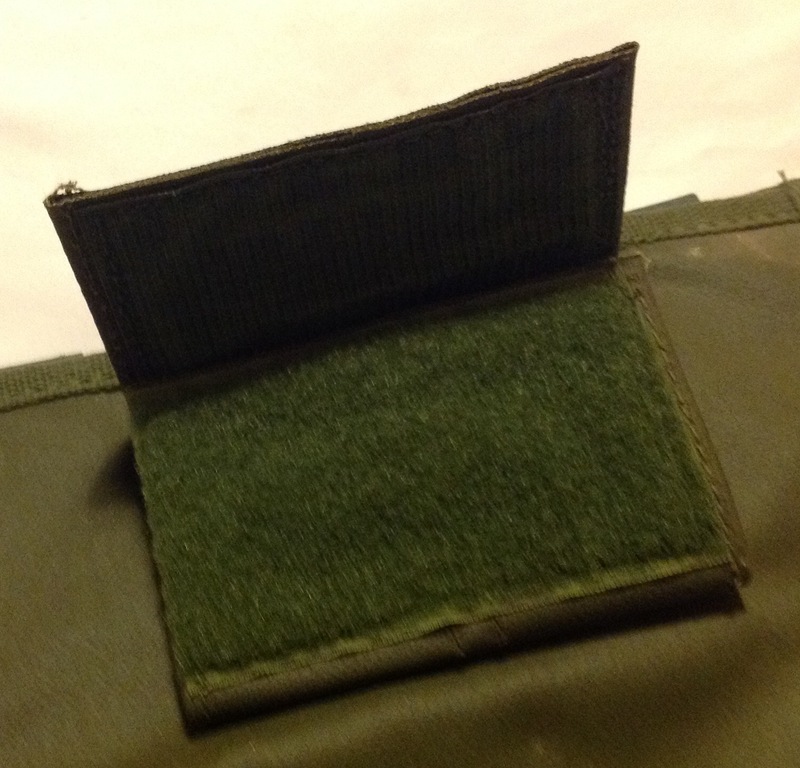 The cover fastens on the front with a plastic quick release buckle with a webbing tab: The edges of the entrenching tool could be sharp and potentially could damage the cover so a couple of leather reinforcing patches are sewn to the top lip of the cover: I am not convinced many of these covers were ever issued, most accounts suggest they were not in widespread use and this example certainly looks in mint condition. This entry was posted in 64-Webbing, Canada, Post WW2, Webbing on April 25, 2017 by hatchfive. 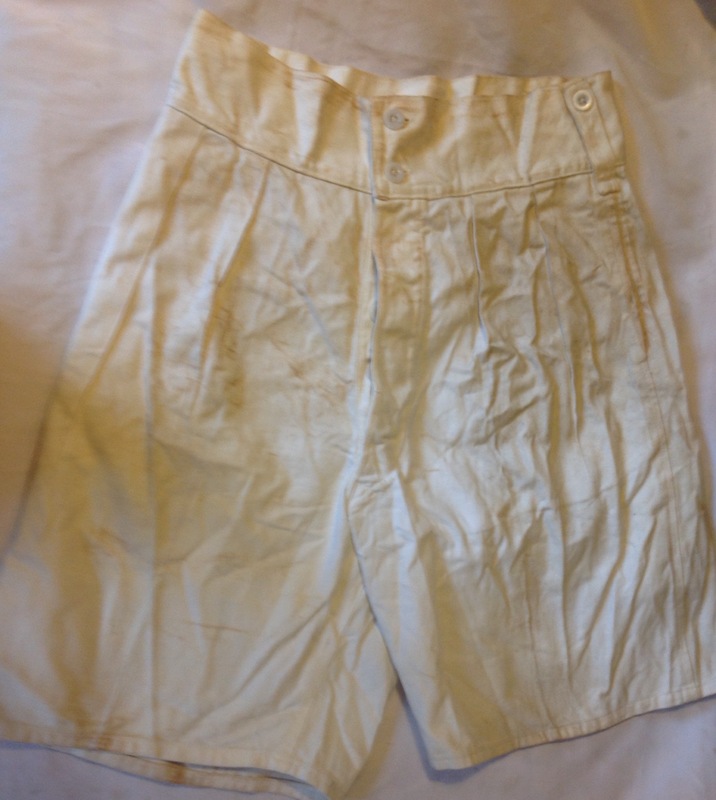 In Florida, the Royal Navy’s standard tropical white shorts were frowned upon as being offensive to local tastes and so, unless cadets were in their formal whites, they spent most of their time in khaki trousers and long sleeved khaki shirts. 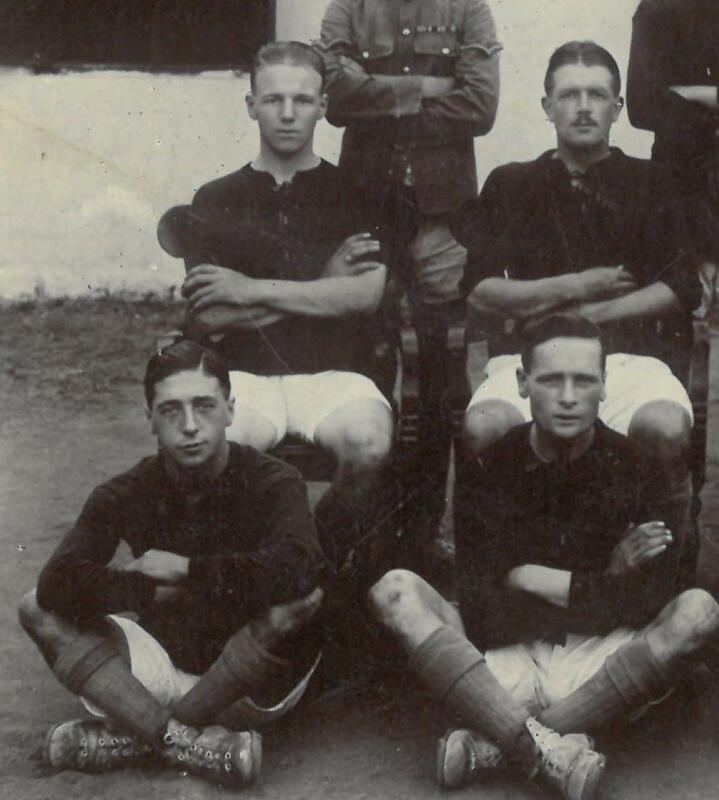 British trainees were unable to understand the nature of the offence to which shorts could give rise. They expected Americans to behave and think like British citizens and were surprised when they did not. This entry was posted in Royal Navy, Uniform, WW2 on April 24, 2017 by hatchfive.